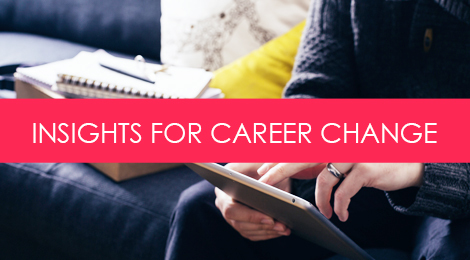 If you’re changing careers, forget about job titles altogether. But shouldn’t my resume be targeted towards a specific job in order to be effective? Yes, if you have experience that directly relates to that job. But when you are changing careers, you are (in most cases) no longer selling your direct experience – you are selling the transferable aspects of your career, and while that can include experience, it also pertains heavily to skill sets and training. The primary challenge anyone will face when changing careers is the fact that you will be competing against other candidates who have been doing the job function for longer, and sometimes even their entire careers. Their direct experience immediately gives them an advantage, because it instills confidence in a hiring manager that this candidate will be table to transition into the role easily, and be successful at the job. And any hiring decision has a direct impact on the bottom line. Transferable Experience: Things like managing vendors, proven success in the sales environment, or daily interaction with clients can be similar functions regardless of industry. Transferable Skills: Transferable skills are often those types of tasks which are part of your job, but not the main function. If your job is in sales, it’s likely that you also have a strong knowledge of managing client relationships, working with databases, and good communication skills when it comes to speaking with high-level decision makers. Closing business might be your core function, but there are likely other areas in which you have developed proficiency. Transferable Training: Acquiring certifications, training, or further education in a field or topic where you lack hands-on experience can be a good way to bridge the gap. While you may not have every designed collateral in your role as a sales manager, a portfolio class can provide you with the fundamental skill sets to develop your design talents. Here’s the caveat – it’s not always that easy. I often find that professionals looking to make a career change only have 1 or 2 of these transferable areas, and that often isn’t enough to position them competitively against more traditional candidates. I’m not saying that one should avoid changing careers because they will inevitably be less competitive in the eyes of HR. What I am saying is that you should think outside the box in terms of what your job function could be within that industry or environment. You may want to transition your career to be a graphic designer, but having a true design role might not be the only option for making that shift. Focus on the industry instead of job title. A job title becomes less relevant when you are no longer selling the direct experience associated with that role. Focus instead on the type of company – what products or services do they offer, who are their target customers, where are they trying to grow – and do you have experience that can relate to any of those areas? What other types of positions exist within that environment that might provide an eventual bridge to that targeted role? Research the types of companies you’re interested in working for – on Pinterest, on LinkedIn, on their websites, through industry blogs – and you will surely see a number of other job titles that exist within that department or organization. Be open minded in terms of where your own skills might fit. I have worked with literally every industry there is, and I am always learning about new job functions I was unaware of. The design industry isn’t just made up of designers – there are art directions, production assistants, photographers, project managers, account managers, client relations specialists, operations managers, and a slew of other people who all contribute to the same end goal. There may be more than one way for you to shift into that arena. Graphic designers, for instance, work within a lot of different environments: in-house marketing departments, small design agencies, larger branding and advertising agencies, and even within companies where there is no creative, marketing or design department and they handle more than one function. Don’t overlook the opportunity to get a foot in the door, prove your abilities, and transition into an eventual role that allows you to do that function, one that might end up being higher paying and more fulfilling. Tags: career, career change, hr, marketing, personal branding, resumes. Bookmark the permalink.